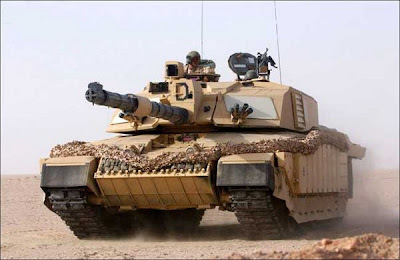 The main battle tank of American military sits in the top with its 120mm smooth-bore cannon, classified Chatham armor and a 1500hp engine giving it a top speed of 40mph. Equipped with advanced fire-control computer and damage control systems; it is surely the most hi-tech. Never defeated in a conventional tank battle but it has suffered in the hit-and-run tactics in Iraq. This tank is an American third-generation main battle tank. The tank is named after Gen. Creighton Abrams, former Army Chief of Staff and Commander of US military forces in Vietnam from 1968 to 1972. Challenger 2 is a British main battle tank (MBT) currently in service with the armies of the United Kingdom and Oman. It was designed and built by the British company Vickers Defense .The current British main battle tank has seen in action in Iraq. One Challenger was hit by eight RPG’s and a MILAN anti-tank missile, but its crew survived unharmed though shaken. It also uses the same Chatham armor as the Abrams. It can survive 14 hits from rocket propelled grenades and from one MILAN anti tank missile. In 1990 Pakistan embarked on this project to develop its own tank and within 10 years it has designed manufactured and tested the product which is now in production. This compared to an average time of 13 to 15 years to mature a tank development programmed for most of the western Countries with substantial experience in tank design and manufacture. It is worth mentioning here that it took India 25 years to develop her project of Arjun tank and cost her considerably more. The 125mm smooth gun of the tank is also produced locally. The tank is equipped with night vision equipment and explosive reactive armor for higher level of battlefield survivability. 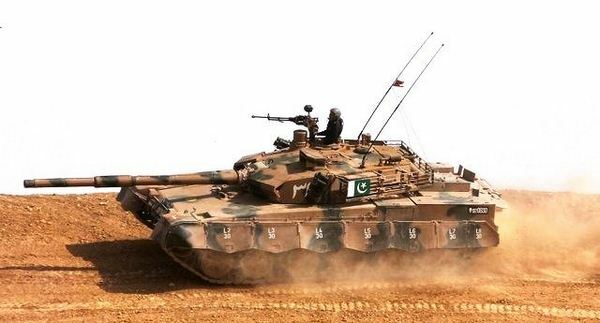 After the field trials with Pak Army, the tank was officially handed over to Pakistan Army on 23 September 2004. The T-90S is the latest development in the T-series of Russian tanks and represents an increase in firepower, mobility and protection. It is manufactured by the Uralvagonzavod Plant in Nizhniy Tagil (Potkin’s bureau) of the Russian Federation. 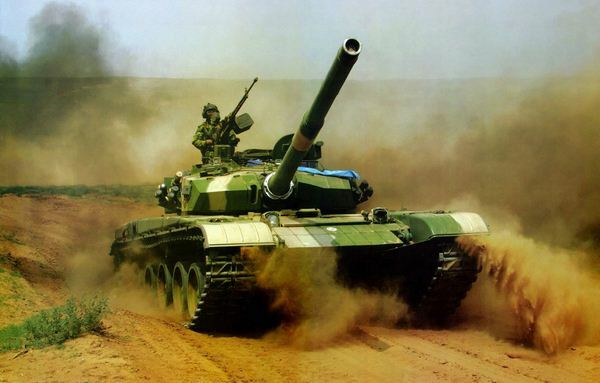 The T-90 is a Russian main battle tank and presently the most advance tank in service with the Russian Ground Forces and Indian Army. It entered service in 1992. The Leclerc main battle tank (MBT) built by Giat Industries is operational with the French Army and the armed forces of Abu Dhabi of the United Arab Emirates. The Leclerc was first operational with the French Army in 1992 and with UAE in 1995. 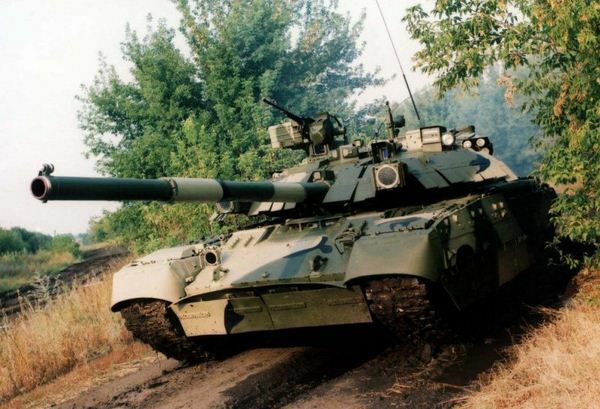 Leclerc mk2 tanks with improved software and engine control system entered production in 1998. 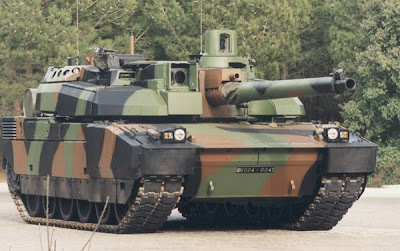 The French Army has 354 Leclerc MBTs in service and in September 2001 ordered the final tranche of 52, concluding a total order of 406 (plus 20 armoured recovery vehicles). Deliveries completed in October 2007.The Leclerc is the main battle tank of France created by Nexter. It was named for Gen. Philippe Leclerc of WW II. It entered service in 1992 and is also operated by UAE – United Arab Emirates. The French Army has a total of 406 Leclercs and the UAE has 388. A unit of Leclerc is worth ₣ 29,000,000 in 1993. The Leopard 2, was first produced in 1979 and is in service with the armies of Austria, Canada, Chile, Denmark, Finland, Germany, Greece, the Netherlands, Norway, Poland, Switzerland, Sweden, Spain and Turkey, with over 3,200 produced. The Leopard 2 is the main battle tank of Germany. It entered service in 1979. It first saw combat in Kosovo with the German Army and has also seen action in Afghanistan with the Danish and Canadian ISAF forces. 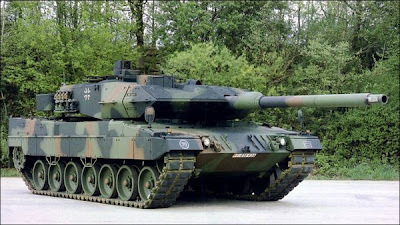 The Leopard 2 is one of the most expensive tanks in the world where a single unit is worth US$4.5 million (Leopard 2A6). 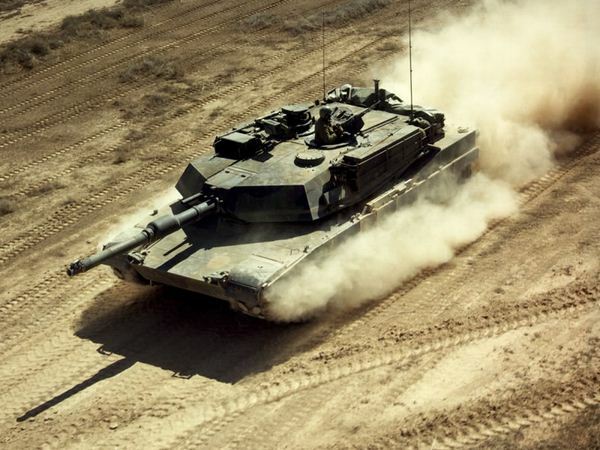 First introduced in 1977, the Merkava was design with crew safety and protection in mind. Though low in mobility, it has adapted well to the urban nature of warfare faced by the Israeli forces. But its complex design lowers its production rate. 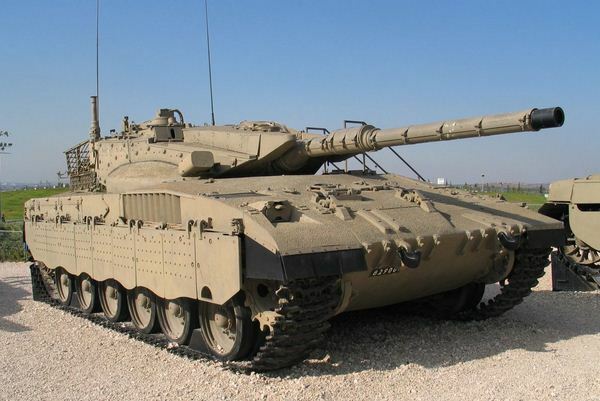 The Merkava, which is means Chariot in Hebrew, is the main battle tank of Israel Defense Forces. A Merkava tank is worth $4.5-$5 million in 2006. The turret assembly is located nearer the rear that gives the crew additional protection against a frontal attack. The rear entrance’s clamshell-style doors provide overhead protection when off- and on-loading cargo and personnel. The Ariete CI is currently being brought into service and studies are being carried out for an advanced second or third-generation battle tank. The Italian Army took delivery of its first Ariete main battle tank in December 1995. This tank carries the latest optical and digital-imaging and fire-control systems, enabling it to fight day and night and to fire on the move. The first deliveries were in 1995, and the last occurred 7 years later in August 2002. The T-84, the main battle tank of Ukraine, is one of the fastest existing MBTs in the world, It entered service in the Ukrainian Armed Forces in 1999.This tank was developed from Soviet T-80. 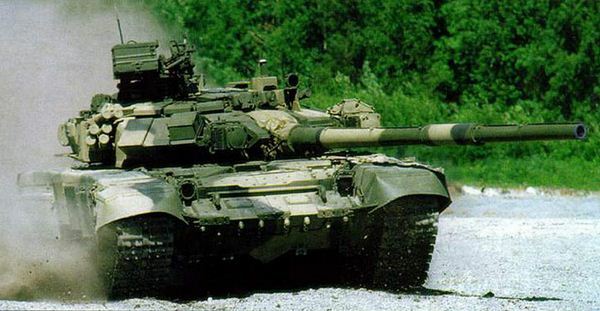 The T-84 Oplot is an advanced version incorporating an armored ammunition compartment in a new turret bustle. The T-84-120 Yatagan is a prototype model intended for export, mounting a 120 mm gun capable of firing standard NATO ammunition and guided missiles. 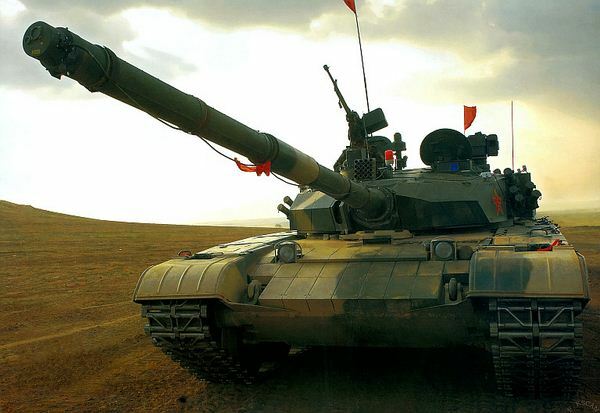 Type 99, a 3rd generation main battle tank operated by the Peoples Liberation Army of China, is the fastest tank in the world. 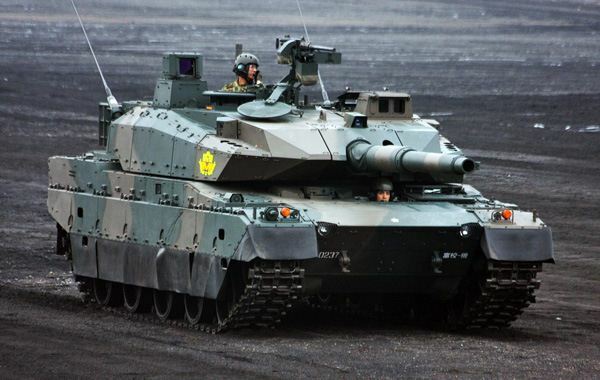 The ZTZ99 MBT is considered one of the 12 best tanks in the world. A unit of Type 99 is worth ¥ 17,417,659 Renminbi, approximately US$2.5 million. It is also known as ZTZ-99 and WZ-123. The newest and much improve variant is the Type 99KM It is currently the most advanced MBT in the People’s Liberation Army. It entered the PLA service in 2001.